**Replacement: **None. We are not going to continue building this board. This page is for reference only. A simple breakout board for the TCM8240MD 1300x1040 CMOS camera, using a 6MHz oscillator. This breakout is meant as an easier way to use the camera and not a plug and play design. 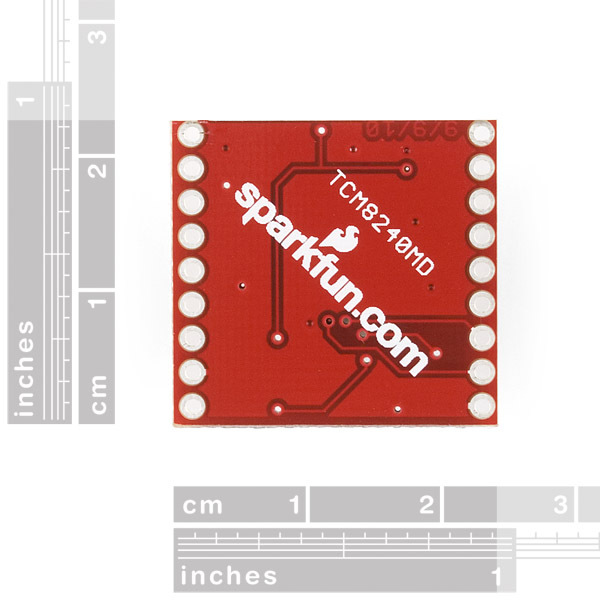 The project that we used to test the basic functionality uses an LPC2103 and can be found here. Note, there is an included frame grab utility located in the ppm-fd directory that only works in Linux, but if all you want to do is compile the project, Linux is not required. Note: This board is on a 0.05" grid. I want to buy this item or similar one (something having light mass). Do you have plan to resell this item? or other similar model or follow-up model? We actually retired this about 6 years ago. 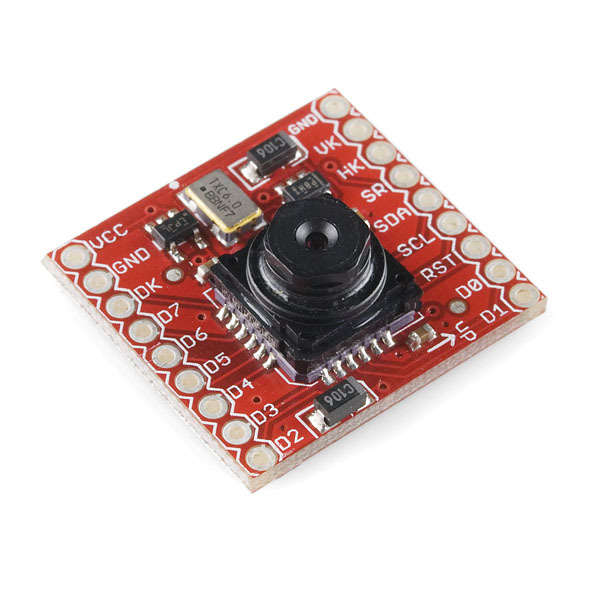 Depending on what you are tring to do check out the Raspberry Pi Camera which connects to the Raspberry Pi or Pi Zero pretty easily, the CMOS Camera Module which has an RCA output or the OpenMV M7 Camera which does a lot of processing on board. If none of those work check out our Imaging section. I've built two different lidar setups but they run on my desktop. Wanting to add it to my UAV embedded porting is my goal. I need a camera with a high FPS (20+) to get the data needed for "realtime" scanning. Any more info on what can be done with this? About time, but I'd rather have a breakout board for the TCM8230MD that you also carry. The '40 has been a royal pain in the rear to get working from what I've read on the forums, while the '30 has quite a few sucess stories posted. 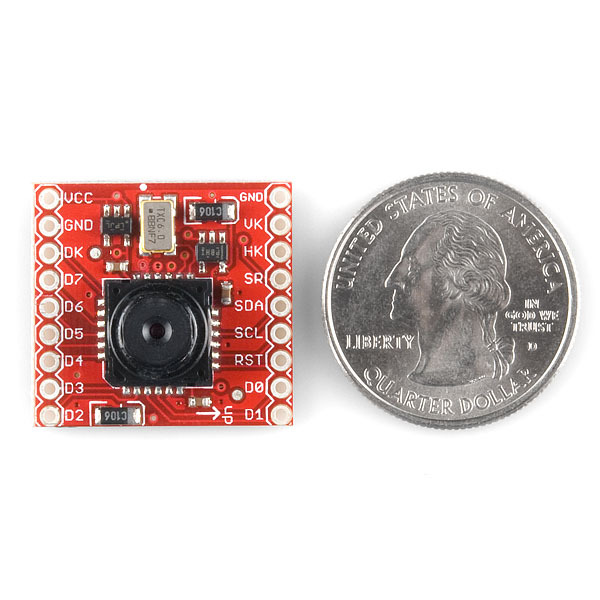 It would be nice to have just the board or the board without the camera module available for those of us that already bought the modules... I have three! "This board is on a 0.05" grid" really means "Someone screwed up and it doesn't fit on a breadboard." I just got this board and it does not fit on a standard breadboard without soldering the pins on crooked. I'm assuming this breakout board comes with the sensor? 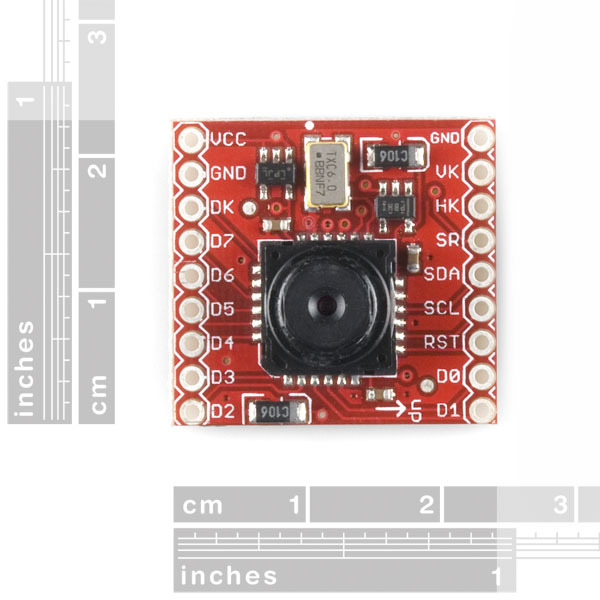 can i interface it with avr "atmega128l" operating on 5v "output pins"
this is a great product, I hope to make some application of computer vision with this small camera embeded :). Can you package the test project into a single zip file to download? I don't know how to grab the entire project as an svn checkout. Also there is little data on how this project works can you provide some documentation and maybe some sample outputs? Which board was the LPC2103 on? This looks like a much better start to using this camera than others have mentioned on the forums. Some more information about that test "project" would be handy. The site referenced appears to only contain source code. Check out the Building files in Linux link above. It tells you how to generate a PPM file. This is as far as we got. I've been looking for this for a long time, thanks :) I was actually trying to make my own at home, the last time I tried I think I fried it :( how on earth did you manage to solder this cam ? Also, what FPS did you get with a 6Mhz clock ?